Most of you have been following the Depke Wellness newsletter for years not but we have some new followers to welcome due to the adrenal summit. With that we would like to extend a huge warm welcome to our new followers. Every Tuesday your day will be welcomed with new information to further your journey toward health and happiness. Each newsletter contains a main article written by me personally, a special guest article, a take action segment, upcoming events, a monthly featured supplement and a motivating quote. Depke Wellness will also interview many other health professionals throughout the year and provide free interviews to your further education and enjoyment. As this are moving and shaking through the year, you will get this information first hand through your connection with Depke Wellness. With this said, let's talk about the recent excitement, which is the launch of the Adrenal Summit yesterday April 7, 2014. While this summit was a significant undertaking in time, organization, effort and of course money, yet it has surpassed our expectations on every level. That's exciting!!! First and foremost, the intention of the Adrenal Summit was to expose this essential information to our culture. Unfortunately adrenal function is not widely recognized in mainstream information, yet this is a huge issue for so many. It pains us to see health challenged individual make an attempt at healing their body without even looking at adrenal function. These are the clients that show up in our office every day that have been attempting to create a positive shift in their health via natural health means but to no avail. They've improved their nutrition, exercise and sleep, worked on their gut, immune function, thyroid and more...but still sit frustrated because all their hard work and dedication has not created the healthy shift they were looking for. This level of frustration is much more common than most may realize. Almost across the board, I find the missing link for these individuals to be adrenal function. As you may already know, I have reviewed over 4,300 adrenal test kits in my career of health challenged individuals and have only seen 5 (it's not a typo) come back healthy and balanced. This basically tells us that if you have a health challenge, there is approximately a 1/10 of one percent chance that your adrenals are healthy. DO NOT bet those odds! If you have yet to register for the Adrenal Summit you can register here. So this is why we are so excited to reach out to our culture with this information. Even better than that, it's not only me. The Adrenal Summit is composed of 13 experts in their perspective fields and truly, these are the experts experts. Welcome to the opportunity to understand adrenal function and the challenges this causes in your body as listed below. So this is the what happens when the adrenals are not working properly but there's so much more. With our experts you are going to learn what triggers this adrenal dysfunction and what continues the ongoing health crisis as listed below. Based on the experts that you are going to enjoy and learn from, you will gather some new found knowledge that will change your life or the life of someone you know and love. 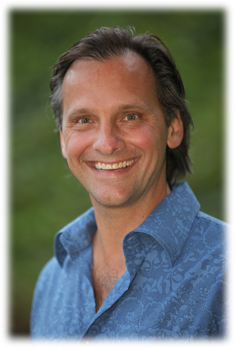 If you are already registered for the summit, you have already heard Dr Daniel Kalish's interview as an amazing send off to the Adrenal Summit. If you are not registered, it's not too late to jump in on this life altering event. Register here! Once again, we welcome the new members of the Depke Wellness family. It is our pleasure to serve you. Well, we signed up but have for the past 2 days NOT recieved any message 'AROUND 8AM" for the past 2 programs. Where are the links in this or on the links whci redirected us to another page? Please email me at glen@depkewellness.com and I will manually register you and remind me to get you the first two days.